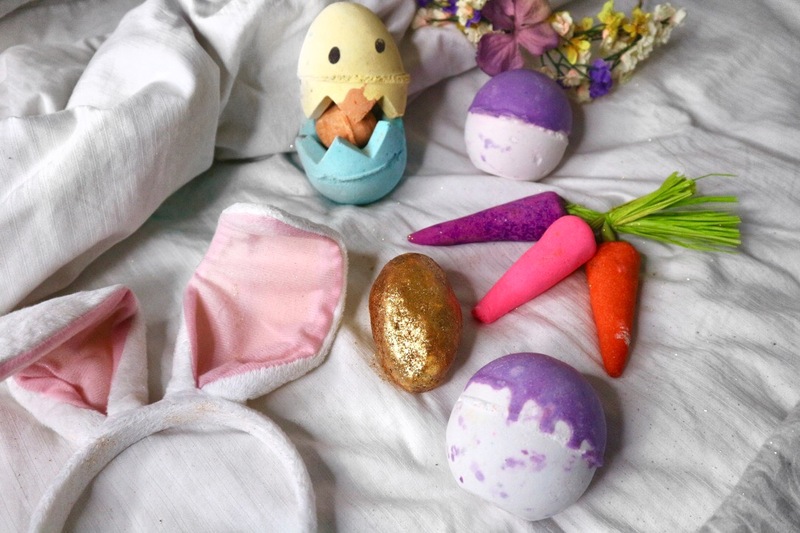 I've been getting really into the gimmicky Easter fun this year and I've recently become addicted to Lush bath bombs so when I saw that Lush had an Easter range it felt like all my Christmas' had come at once (one too many holidays in one sentence I think). Look at the state of my bed sheets now but anywho here's what I picked up and have waiting in my bath drawer a treat day. As soon as I saw these Golden Eggs piled up I could not resist. To touch them you're COVERED in gold but according to the lovely sale assistant in the Oxford Street this is not Lush's most glittery bath bomb. 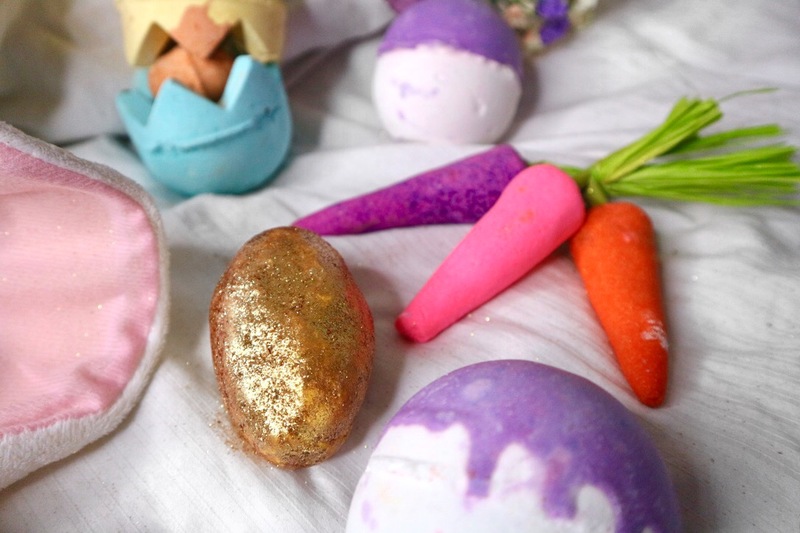 I mean, lets be real, its pretty glittery but this bath bomb is only coated in gold. Its a super softening almost butter like bomb that leaves you feeling pampered and moisturised smelling of orange and chocolate. HOW CUTE ARE THESE!? I got mighty confused wanting to eat them but I just about managed to resist. You can use one carrot per bath and get the most of the bunch or go wild and crumble them all in one. If you haven't used a bubble bar before it is important to note you crumble these under running water to create foaming bubbles. DON'T just drop them in the bath because nothing will happen. There are three different scents ; Sicilian lemon, bergamot and bushy oils! Well this one really is the showstopper of the collection. Technically 3 bombs in one you have the head, base and a little egg on the inside IT LOOKS LIKE A CHICKEN! It's so satisfactory taking it apart and putting it back together I've been using it as a toy rather than a bath bomb. It smells all sweet and zingy and it smells as fun as it looks! 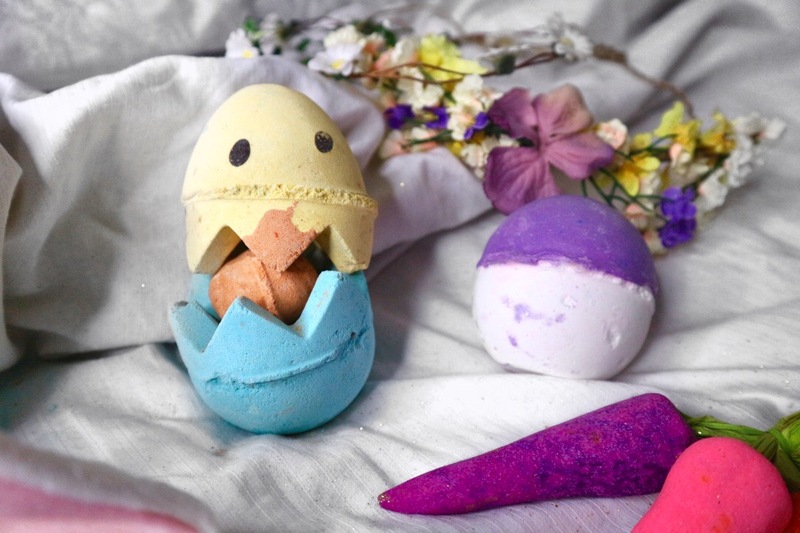 So as far as I can tell this one of Lush's most popular bath bombs but its a limited edition? I don't know if it's part of the Easter range but it was on the Easter themed table and smelled amazing so I went for it and bought two! It's zesty and fun infused with Brazilian orange and geranium and super creamy with creamy cocoa butter. 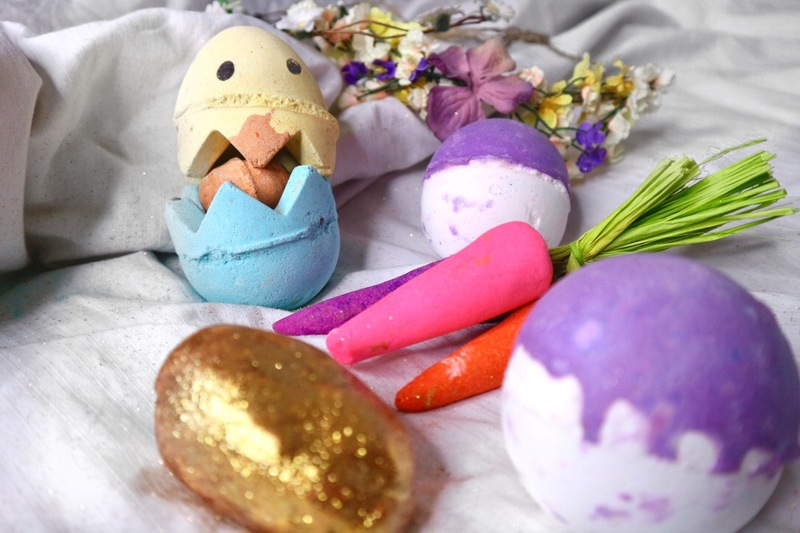 Have you tried any of the Lush Easter range? What stands out for you and what will you be picking up? I like this place. I was here the other night, I've been there for about four or five hours and found the prices reasonable on all fronts and the staff to be so friendly. I would be the perfect person to have on an infomercial for this LA venue if they ever had one.